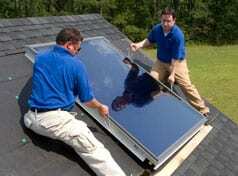 Solar Energy Management is known for our best in class solar solutions in Clearwater and the most competitive pricing. Our goal is to design solar power systems for Clearwater homes to the highest standards while making the use of solar power simple for our Clearwater customers. We offer all Clearwater clients a Path to Zero EnergyTM including the option to have architectural plans reviewed to certify a structure to be a Zero Energy home. This service includes full energy modeling and review of the plans by solar engineers from the Florida Solar Energy Center. This process ensures that when the home is done and complete, it will be a Zero Energy HomeTM. The solar products offer our clients the best in class Clearwater solar power systems that provide the highest power output guaranteed to up to 30 years and are attractive and integrated into the client’s roof lines. Above is an example of the available on-going monitoring system. This information shows our Clearwater customers how much solar energy is collected by their system on a daily, weekly or monthly basis. This portal also allows our clients to see the status of the entire system and will indicate and email us if any problems exist immediately. There is no need to become a solar equipment expert; this monitoring system takes all the guess work out of maintaining your solar system. Innovative financing, same as cash, unsecured and secured loans available. We offer a tailored financing package to meet your individual needs. We personally assist our clients in achieving all federal, state and power company incentives. The U. S. Federal Government will give you a 30% Tax Credit for a solar power system, please consult your tax professional. Each power company in the state of Florida offers different incentive programs. Since the incentives from the local power companies are constantly changing, we suggest you contact a Solar Energy Management representative to learn more about available power company incentives and/or look up your power company on this website Database of State Incentives for Renewables and Efficiency. We will conduct a free site visit to your home to assess available space for solar and analyze your energy usage. We will use this information to create a customized solar proposal. We will propose a solar system based on energy usage and available space to maximize the value of solar. In the proposal, we will determine the cost of the system, how the system will be paid for, and the return on investment. As a turn-key solar service provider, Solar Energy Management takes care of everything for you. All system designs comply with the National Electric Code and abide by local rules and regulations. Upon review, modification, and approval of your system design, all construction permits will be obtained and renewable equipment will be ordered, and one of our Solar Energy Managers will be assigned to your project. Upon arrival of the solar panels and parts, our professional crew will begin installing your photovoltaic solar system. Our crews arrive each day and work in a respectful and courteous manner. They will leave the site clean each evening. A typical installation will take 3 days depending on size and complexity. 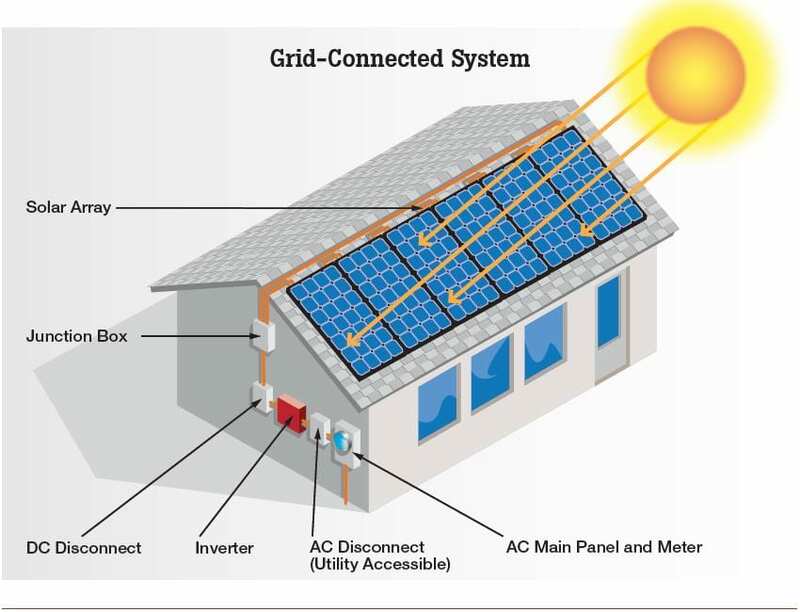 Residential solar power systems are typically roof mounted. 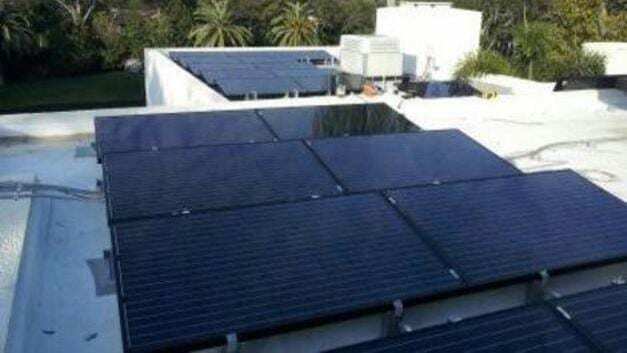 The solar power panels are mounted on a racking system which is attached to the roof. We will work with you and or your architect to integrate solar power into your roof line for an attractive installation. Upon completion of your solar system, you will receive a “Warranty Package” that consists of system drawings, warranty information, self-maintenance instructions, product specifications, and instructions on how to inspect your solar system for optimal energy generation. You’re never alone. Solar Energy Management will be available to support your system’s ongoing operation, address post installation concerns, and help analyze your system’s performance throughout the warranty period. 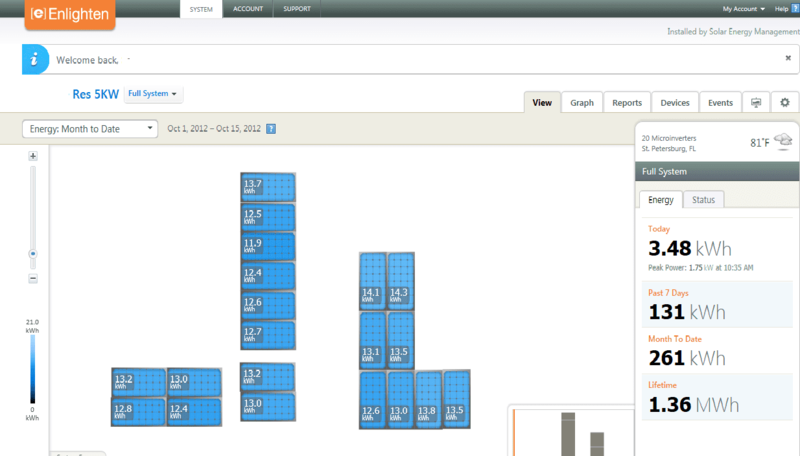 Your system power production data will be available to both you and us via the web. Solar water heating technology can provide 90% of household hot water demand. Most systems pay for themselves in 2-5 years, and continue to provide hot water for up to 30 years. 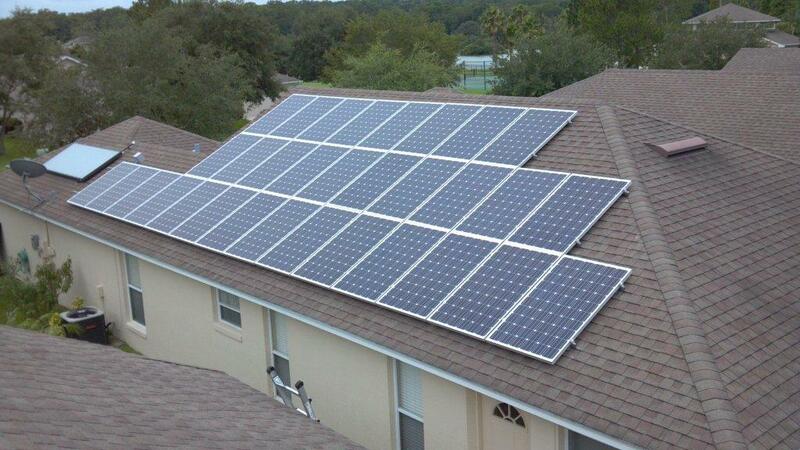 We provide the highest quality solar hot water systems for Clearwater. We further utilize hot waters solutions that are attractive and integrate into your roofline. Our Solar hot water systems utilize the top manufacturers, including Guardian and VELUX. 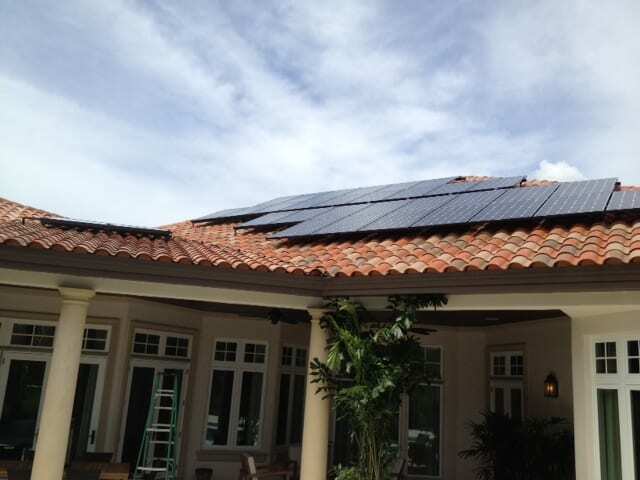 We are the only 5 Star Velux Solar Consultant in the state of Florida. VELUX is the only solar hot water system that has recessed piping, making it the highest performance and most attractive system on the market. Each State and local utilities have different incentives. Contact us for an explanation on what incentives and solar hot water rebates you may be eligible for. We suggest you contact a Solar Energy Management representative to learn more about available power company incentives and/or look up your power company on this website, Database of State Incentives for Renewables and Efficiency. Solar Energy Management is not a licensed contractor and will not be providing EPC services. All contracts will be with a licensed EPC. Installation of any services will be by licensed EPC. 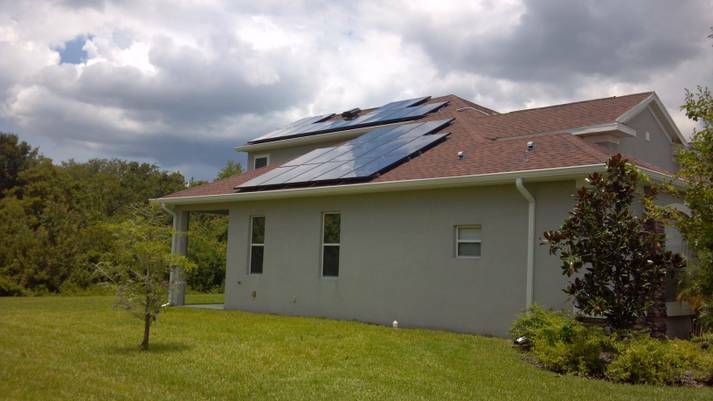 Solar Energy Management provides residential solar power designs, solar panels, solar hot water & solar pool heating solutions in Port Charlotte, Nokomis, Venice, St Petersburg, Clearwater, Tampa, Sarasota, Orlando, Ft Myers, Bradenton, Florida FL. Solar Panels, Solar Power, Solar Pool Heating - Solar Hot water for Tampa, Clearwater, St Petersburg & Sarasota FL / Florida areas. Solar Solutions for Solar Power - Solar Energy - Energy Efficiency - Solar Hot Water - Read Our Solar Blog - Solar Coop Copyright © 2018 Solar Energy Management. All Rights Reserved.